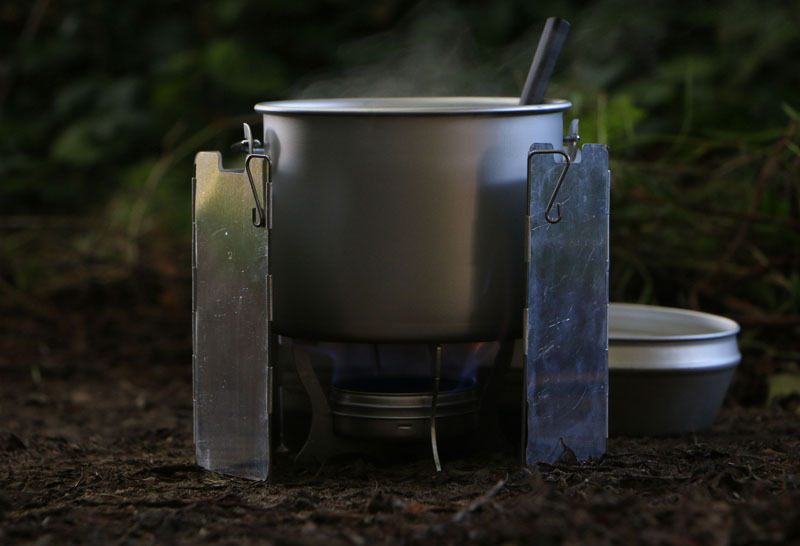 Easy-to-light, spill-proof multifuel stove set. Very compact and lightweight. 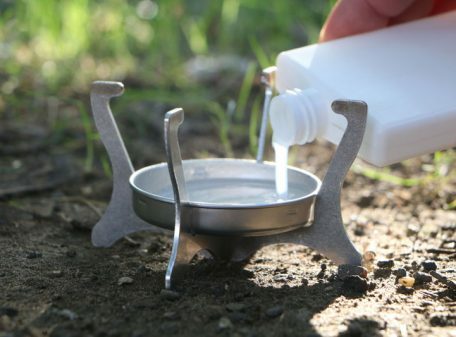 Ultralight compact stove and windshield set. 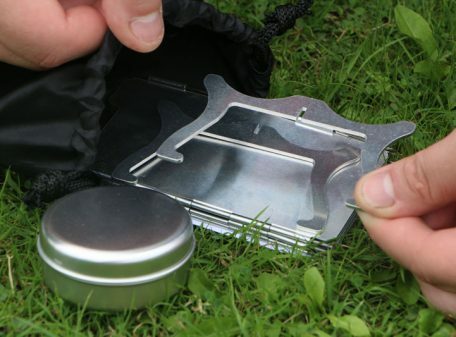 Quick and easy to set up and use with a lightweight but durable marine-grade aluminium-alloy construction. 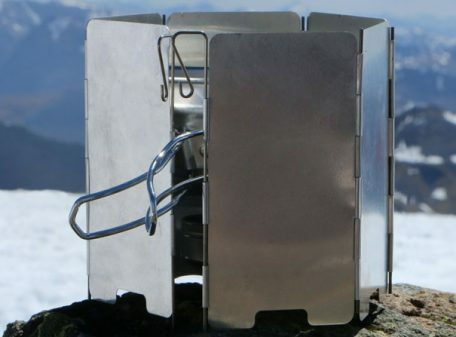 Spill-proof design makes this stove much safer than other alcohol stoves. Carbon felt keeps alcohol safely inside the burner, even if the stove is accidentally knocked over! Easy to light even in freezing conditions, where other stoves may fail to light at all. Can be fueled with ethanol/methylated spirits, alcohol gel, fuel tablets and even hexamine blocks in an emergency. Ideal for travelling where certain fuels may be unavailable. 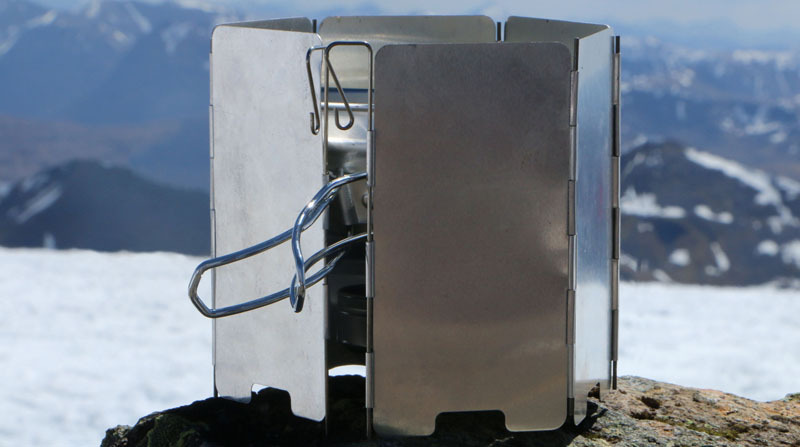 Folding 6-section aluminium windshield allows you to cook in windy conditions. 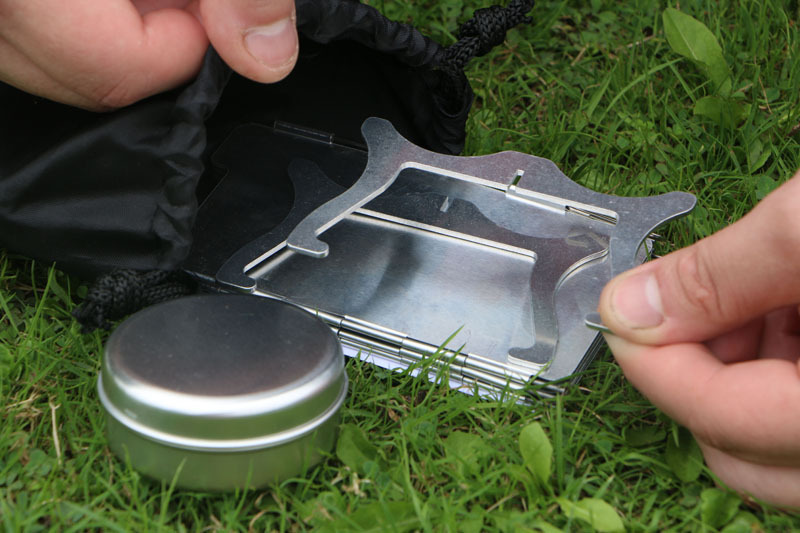 The burner, stand and windshield all fit neatly inside the included black storage bag, which will then fit inside most cooking pots/mugs. The Phantom Ultralight Stove and Windshield Set is one of the lightest multi-fuel stoves on the market. 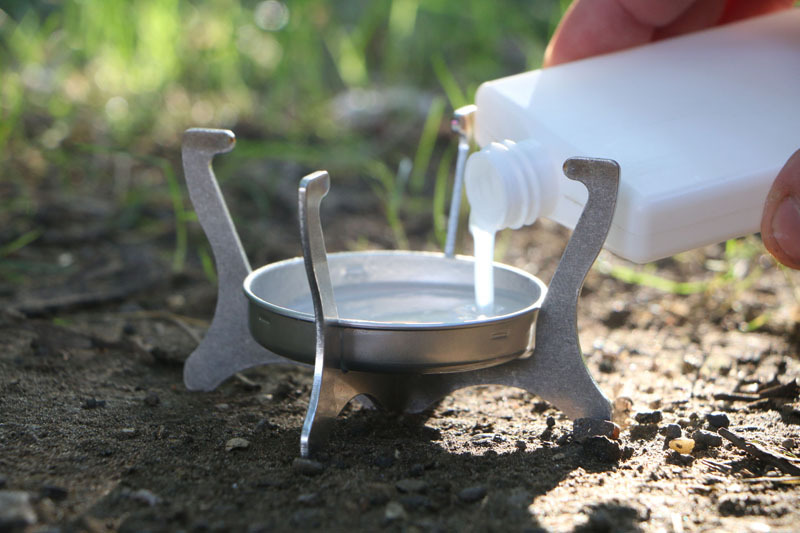 The folding stand provides sturdy support for pots of up to 1 litre, making it ideal for lightweight backpacking and camping set-ups. 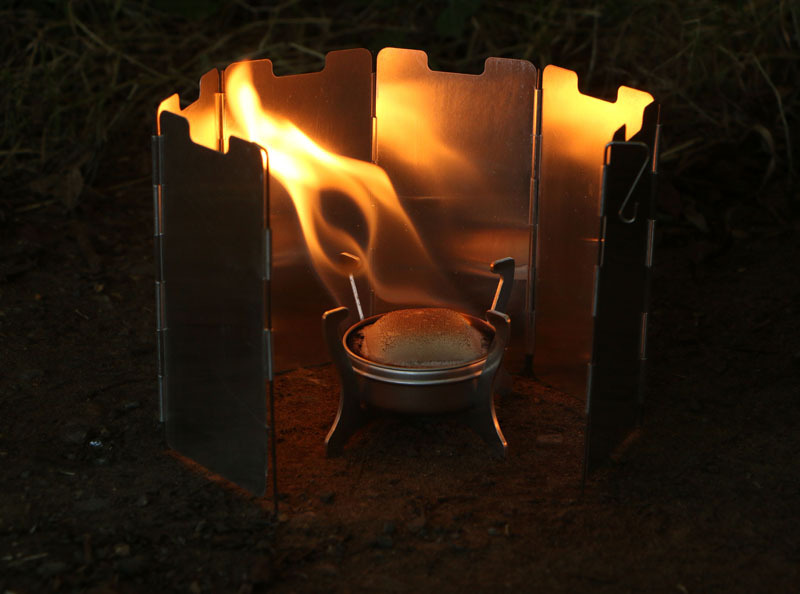 The burner is a simple and reliable design that uses carbon felt to provide easy lighting in cold weather conditions, with no priming or pumping needed. 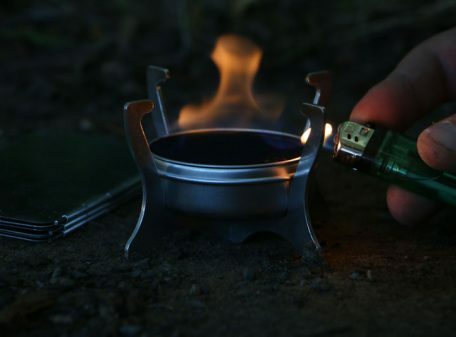 The carbon felt also makes the burner spill-proof which massively increases the safety aspect of using this alcohol stove, as other stove designs can spill flaming alcohol if knocked over! 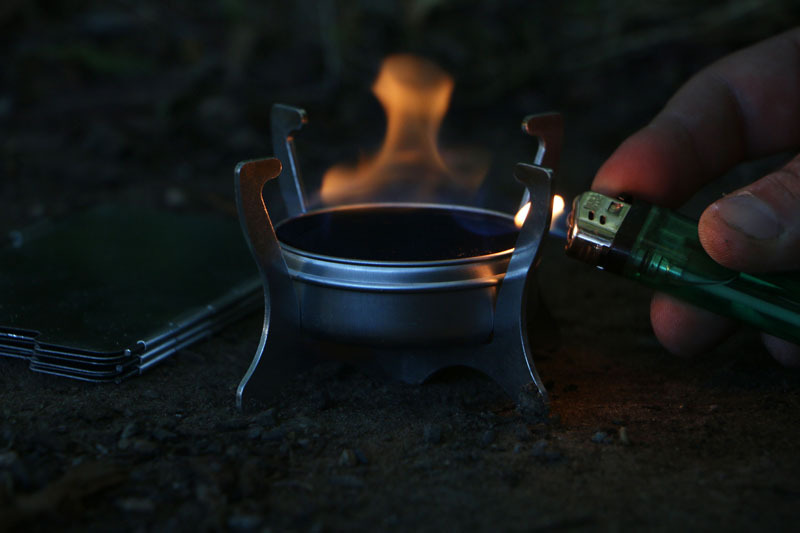 The burner can be filled with up to 50ml of alcohol. An included essential is the 6-section aluminium windshield, which is a proven design for providing a solid defence against windy conditions that are typical with outdoor cooking. The stove and windshield are super-quick to set up and use, so you can be cooking in under 30 seconds! They also cool down very quickly after use, allowing you to safely pack it away without waiting around. 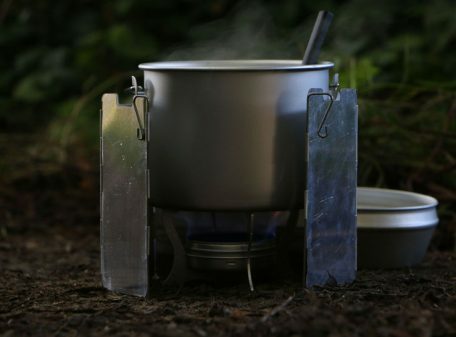 When the set is packed into the included bag, it is small enough to be stored inside almost all sizes of cooking pots and mugs, making it suitable for fishing, hiking, cycling and lightweight backpacking where traditional camping stoves would take up too much space. 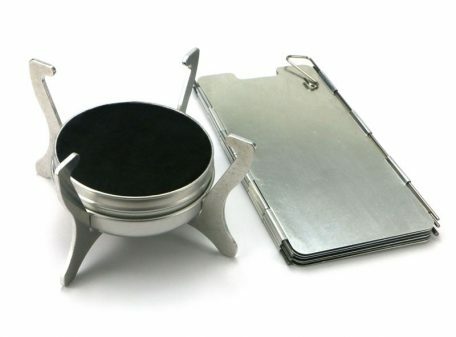 Package contains: 2-piece folding stand, burner with lid, windshield, instruction sheet and storage bag. Stove size: 10cm x 10cm x 6cm. Stove weight: 35g. Windshield size: 43cm x 13.5cm. Windshield weight: 75g. Total packed size: 13.5cm x 7.5cm x 3cm. Total packed weight in bag: 119g.